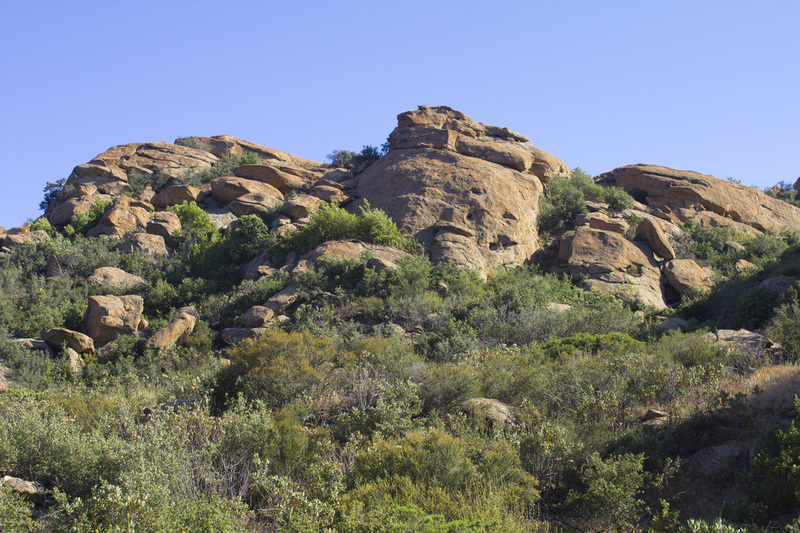 Situated on the border between Los Angeles and Ventura Counties in the Santa Susanna Mountains is Rocky Peak Park, a 4800 acre expanse of jumbled sandstone boulders and rugged oak savannahs. 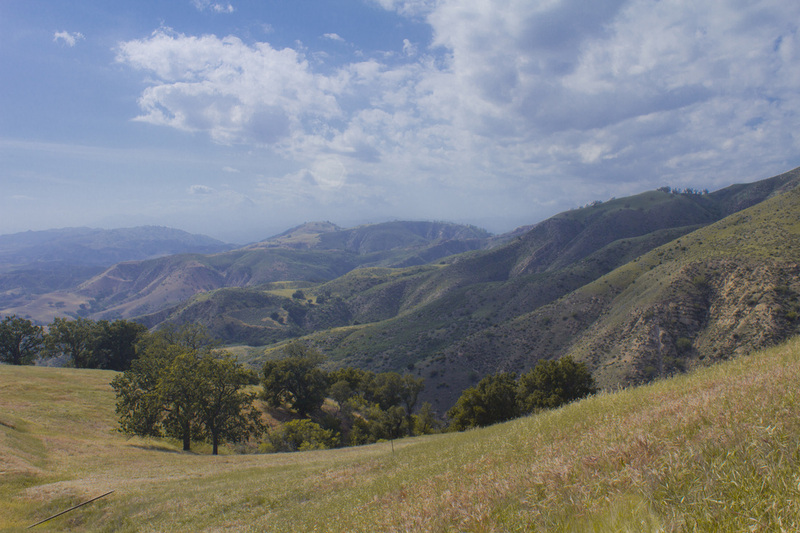 The park is located just off the 118 west of Chatsworth and roams northward for five miles to Las Llajas Canyon. A number of trails and fire roads crisscross the park, allowing you to explore the deepest reaches of this wilderness area. 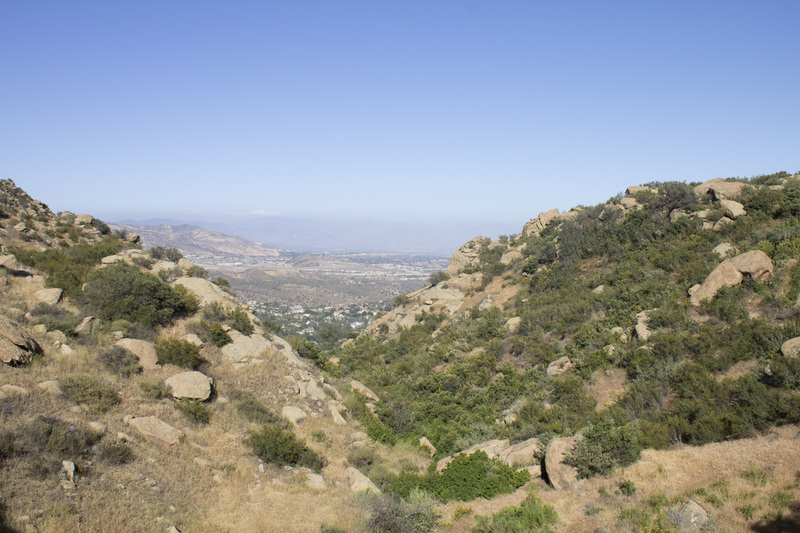 The most prominent feature is the titular Rocky Peak, a series of craggy outcroppings, the tallest of which rises to 1,715’ and provides stunning views of The San Fernando and Simi Valleys and the majestic grassy bald of Oat Mountain. 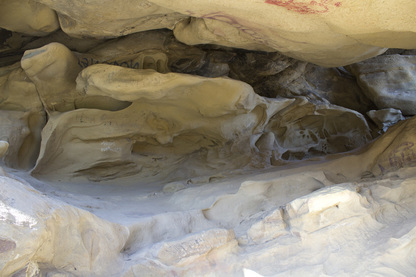 The 2.5-mile trek to the summit passes a small, trailside cave, and during the rainy season water often cascades through the boulders at various spots along the trail. The trail itself follows a wide, but uneven fire road for most of the hike, requiring a moderate effort. The final push to the summit ascends a single-track use path and is a more strenuous uphill scramble. Once you reach the ridgeline just below the summit, the trail is not always clearly defined, dividing and subdividing numerous times. The key is to keep your eye on the peak and keep heading toward it. The trail to Rocky Peak is fairly busy with hikers, runners and mountain bikers, but the twists and turns keep the majority of your fellow explorers out of sight, creating a sense of solitude. The peak itself was also strangely quiet. I spent nearly an hour exploring the rocky passageways and a second small cave directly below the summit without encountering another a person despite seeing a number of hikers making their way up the fire road far below. Most hikers, it seems, continue on the fire road past the peak without venturing out onto the craggy cliffs. While on the summit, you should look for the surveyor’s marker indicating the point where the boundary between the two counties cross and a summit register in a metal box located just below the eastern face of the peak. Note: This is a wilderness park and has no facilities and virtually no shade along the trails. Bring plenty of water and sunscreen. 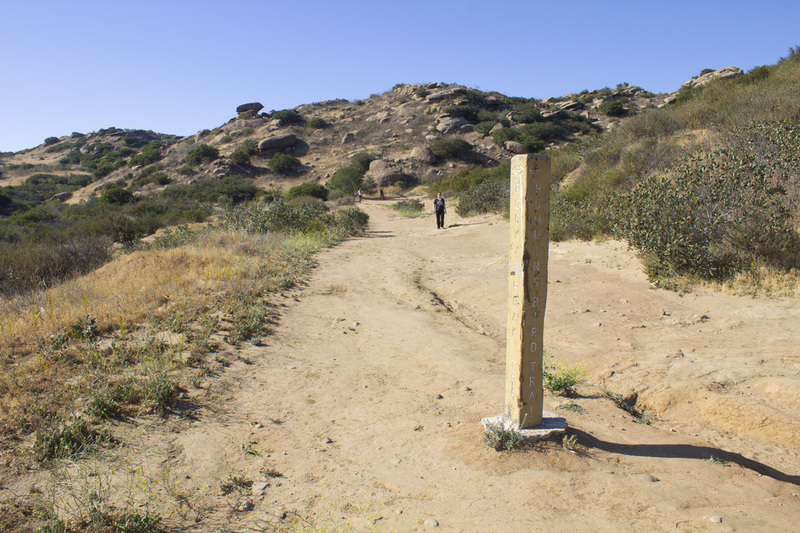 Take Route 118 west to exit 32 for Rocky Peak Road (ten miles west of the 405 Freeway). At the end of the offramp turn right into a small parking area where Rocky Peak Road crosses the freeway. 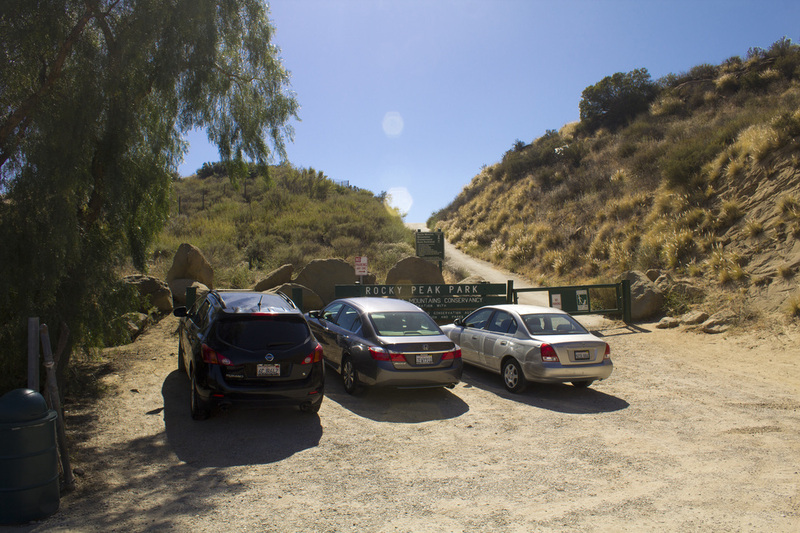 If the spaces by the trailhead are full, there is additional parking at the south end of the bridge (Rocky Peak Road) on the opposite side of the 118. Take Route 118 east to exit 32 for Rocky Peak Road. At the end of the offramp to the left is overflow parking for the trail. To reach the main parking area, turn left at the top of the offramp onto Rocky Peak Road and cross the freeway to the opposite side. the freeway. Use Rock Peak Road to cross over the freeway. of the hill and become a dirt fire road. At .5 mile, you will find a number of intersecting roads and trails. Cross the open flat space and continue on the main trail. At .75 mile, you will pass a small wind-formed cave on you right. then continue on the Rocky Peak Fire Road. taking in the views, continue straight on the Rocky Peak Fire Road. old oak at approximately 1.7 miles. to your right where Rocky Peak Road makes a 90° turn to the left. 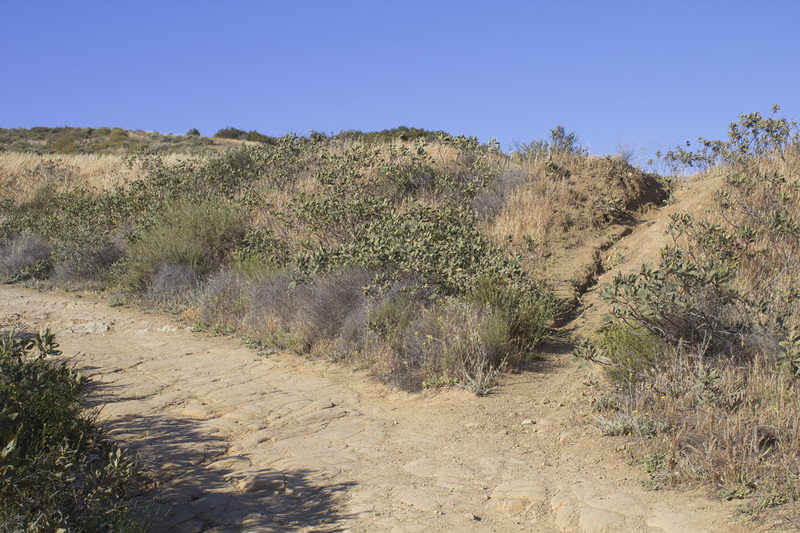 Proceed up the steep embankment to the single-track trail. stunning 360° vistas. Directly beneath the high point is a small cave. your name, date and a few comments.